On Tuesday, November 11th, the 95th annual New York City Veterans Day Parade, aptly titled “America’s Parade,” will be honoring the men and women who have served and protected our country by marching up 5th Avenue from 26th to 52nd street. Veterans Today describes this Parade as “the largest Veterans Day Event in the nation”. This year, the parade’s theme will be “’Land of the Free/Home of the Brave,’ in honor of the 200th Anniversary of the writing of the Star Spangled Banner. The Featured Service Branch will be the U.S. Marine Corps. The Parade first started in 1919 after Woodrow Wilson declared Armistice Day a national holiday on Nov. 11. Over the years, Armistice Day became Veterans Day and started to get the serious attention and support that it gets today (over 20,000 participants each year) when the United War Veterans Council formed, taking on the responsibility of organizing the Veteran’s Day Parades in 1945 shortly after World War II. America’s Parade has become a long standing tradition of honoring our men and women in uniform. However, if you are unable to make the trip into New York City for the Parade, the New York City Veterans Community is organizing the third annual “Veterans Week NYC.” According to Veterans Today, the Week consists of activities like the “Patriots Tour”, which visits war monuments throughout the 5 boroughs, the “Veterans Mass” at St. Patrick’s Cathedral on November 9th, and the “Band of Pride” concert in Times Square on November 10th. Make sure to come into the city to check these events out and support our troops. Now comes the tricky part. With thousands of people coming into the city to attend these events, finding parking will be very difficult. You can make your trip easier by booking your parking ahead of time with ParkJockey. We have parking in NOMAD by the Parade’s starting point as well as parking in Midtown, Flatiron, and all throughout New York City. Book now using promo code “VETERANS” and get 10% off your booking. 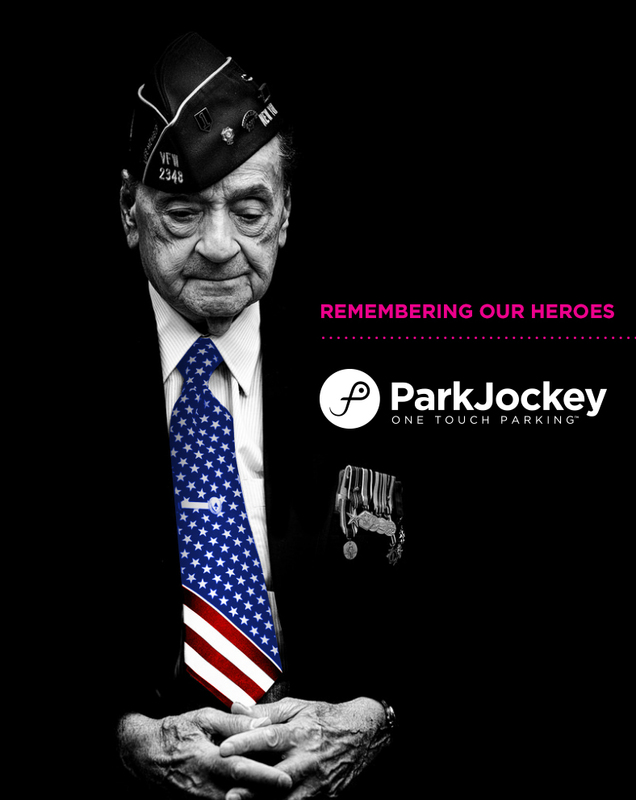 This entry was posted in Chicago, Miami, New York, ParkJockey, PlumValet and tagged 5th ave, america, Chicago, Manhattan, Miami, New York, NYC, parade, park, parking, parkjockey, star spangled banner, veteran, veterans day on November 7, 2014 by ParkJockey Team.